Add all ingredients, with ice, to a cocktail shaker. Shake vigorously and strain into a coupe glass. Garnish with a tiny mint leaf (optional). 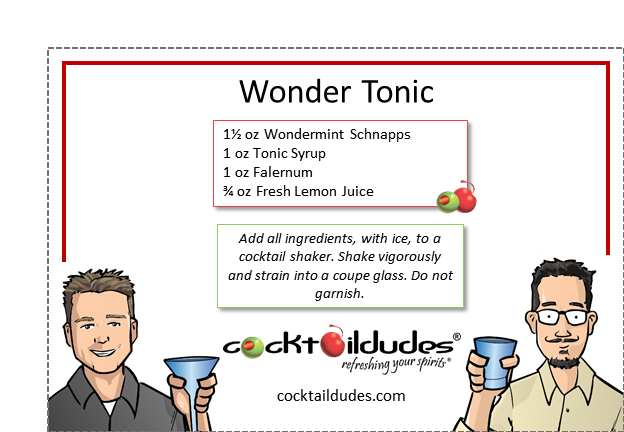 *See our Tonic Syrup recipe/video or use commercially available Tonic Syrup. 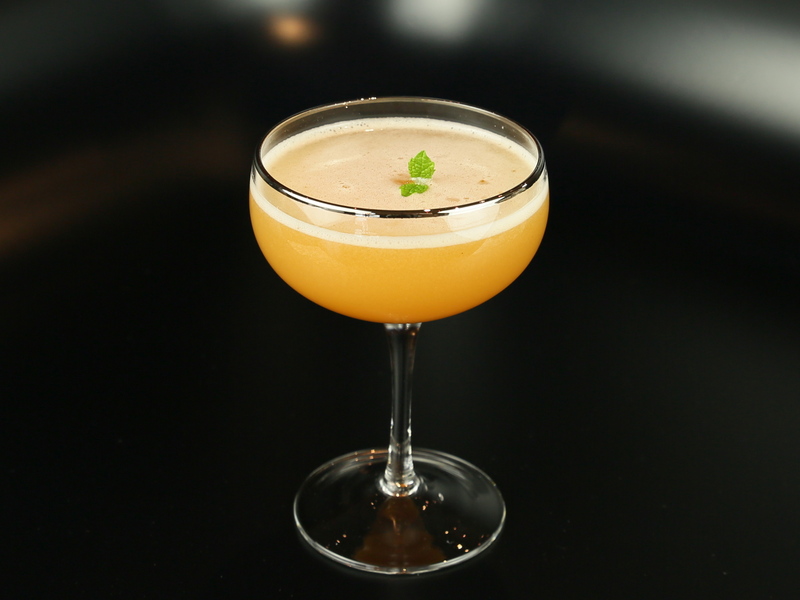 **See our Falernum recipe/video or use a store-bought variety like John Taylor’s Velvet Falernum. Though it may not keep you out of the hospital, this incredible cocktail might certainly take one’s mind off their aches and pains. It does have tonic syrup (whose quinine cures malaria), and the soothing pepperminty palate of the Wondermint schnapps (whose herbal and botanical complexity might cure most any imaginary affliction – or at least leave your breath minty fresh). Better than a shyster’s Snake Oil, this cocktail has a bright minty palate – rich and sweet – with a pleasantly bitter finish. Be sure to check out our other Wondermint cocktails, Falernum cocktails, and Tonic Syrup cocktails. You can even learn how to make your own Falernum and Tonic Syrup by checking out those recipes/videos, as well. Enjoy!